Seniors who are looking for a beautiful city with plenty of amenities to support their retirement years may want to consider Colorado Springs. Pros for retiring in The Springs include lower housing costs than in other areas of the state, exciting outdoor activities and some serious community support for older adults. Housing costs in Colorado Springs are higher on average than in the rest of the nation, but seniors moving to the city from other areas in the Centennial State may find that their retirement income goes farther here. Median home prices as of October 2018 were around $305,000 in The Springs and $356,700 elsewhere in the state. Colorado’s low property tax — which is around 0.5 percent in the Colorado Springs area — helps make home ownership affordable for seniors. You’ll also find that the cost of utilities, transportation and groceries are all lower in The Springs than in the rest of the nation and state on average. Once you move into a new home in the area, you’ll be able to take advantage of numerous amenities and service options for seniors. Even seniors who can no longer drive or don’t like getting behind the wheel can access much of the city via public transportation. Mountain Metro Transit provides both bus and on-demand ADA paratransit services (for those who are unable to use regular bus lines due to disability). Seniors pay 85 cents per ride on the main bus lines, and if you plan on getting out and about frequently, you can buy a 20-ride pass for $16. That brings fare costs down to only 80 cents each. 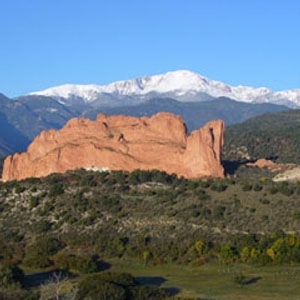 During warm months, which come with average temperatures around 60 degrees, seniors can explore walking paths and driving tours in the nearby mountain areas and nature parks, including the Garden of the Gods. Closer to home, attractions like the Peterson Air & Space Museum provide entertainment and education options any time of year. Seniors can take advantage of discounted admission to many of these attractions, and you can visit the Peterson Air & Space Museum for free when you request a base pass at least one day ahead of time. Seniors who want to live in a vibrant community without giving up access to quality health care will be happy with Colorado Springs, which is home to numerous hospitals and doctor’s offices. UCHealth Memorial Hospital and Penrose-St. Francis Health Services are both rated highly by U.S. News and World Reports for geriatric care, and older adults will also find organizations that specialize in services such as post-surgical rehab or cardiac care. Colorado Springs is home to many organizations that help seniors live independently as they age. Silver Key Senior Resources is one example; the organization provides Meals on Wheels as needed and free rides for medical appointments and other events. Seniors can reserve a spot in the Connections Cafe to eat lunch with other older adults in the area, and the organization also provides some help with certain legal matters. If you’re retiring to a new home in Colorado Springs, you’ll find plenty of options in the city that can meet your needs. An experienced real estate agent can help you find single-story residences or condo units for sale that would support mobility needs in the future. Seniors can also consider moving into one of the city’s many senior living communities, where needs ranging from medication management to mobility assistance can be met in a space with plenty of activities and socialization options.